At Knockvicar Bridge, O’Sullivan Beare, the Irish Chieftain, following his defeat in Cork, rested on the last night before reaching O’Rourke’s castle at Leitrim village. 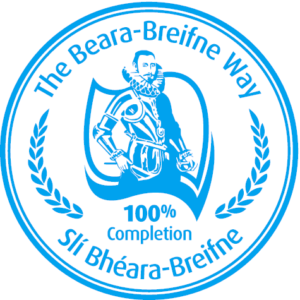 Only 35 weary followers survived out of the 1,000 who fled with him from West Cork. The Boyle River, which flows under the bridge, connects with Lough Key via a weir and Lock Gates 300m upstream. You can now park near the bridge and have a very pretty walk along the towpath if you wish. Nearby is Riversdale Farmhouse, where Maureen O’Sullivan, the noted actress, spent part of her youth. Maureen later went on to live in Glengarriff at the other end of the Beara-Breifne Way route. 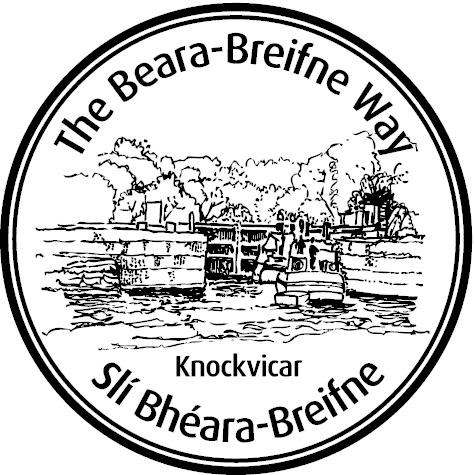 Knockvicar is part of the ancestral home of the Rourke and forms a stage of the Beara-Breifne Way which is based on the historic march of O’Sullivan Beara in 1603.